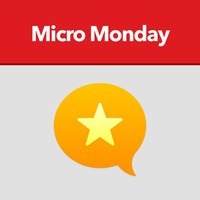 In this episode of Micro Monday, we talk to Belle Cooper in Melbourne, Australia, who is the creator of the Android Micro.blog client Pico. She is also one half of the team at Hello Code, developers of Exist and Larder. We talk quite a bit about the community spirit at Micro.blog and how it’s evolving, but we do spend a little time at the end to chat about Belle’s beautiful Samoyed puppy and why Samoyeds make the worst guard dogs.